Enjoy water VIEWS from this absolutely stunningly remodeled home! NEW HVAC! 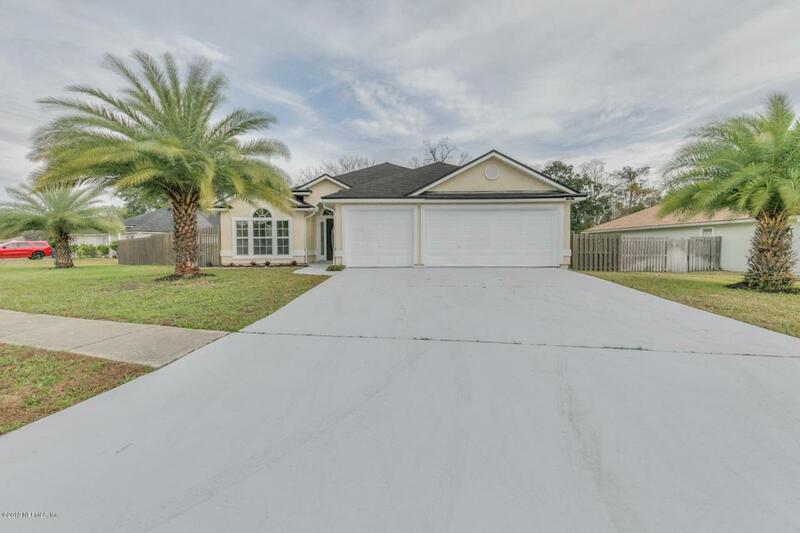 Upon entry you'll be amazed by the high ceilings, and spacious open floor plan. 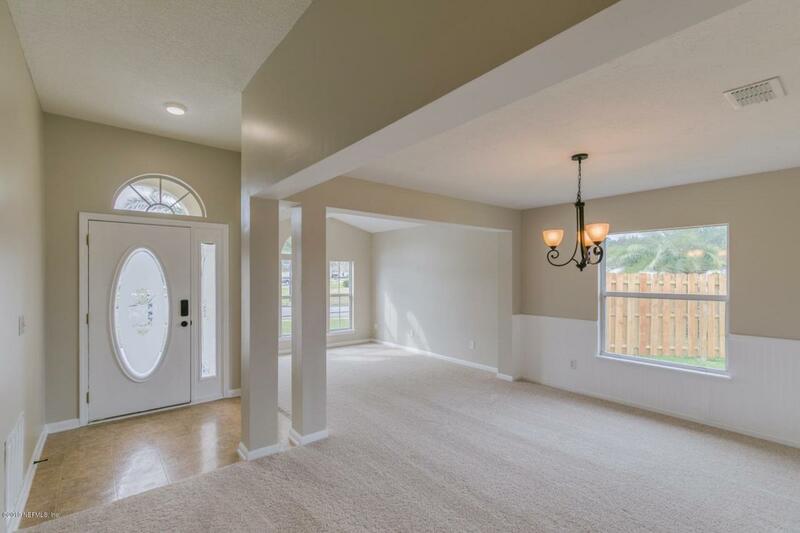 The combined family room/kitchen under vaulted ceilings is a great set-up to entertain guests and includes breakfast bar, new stainless steel appliances and plenty of cabinetry for all of your culinary needs! 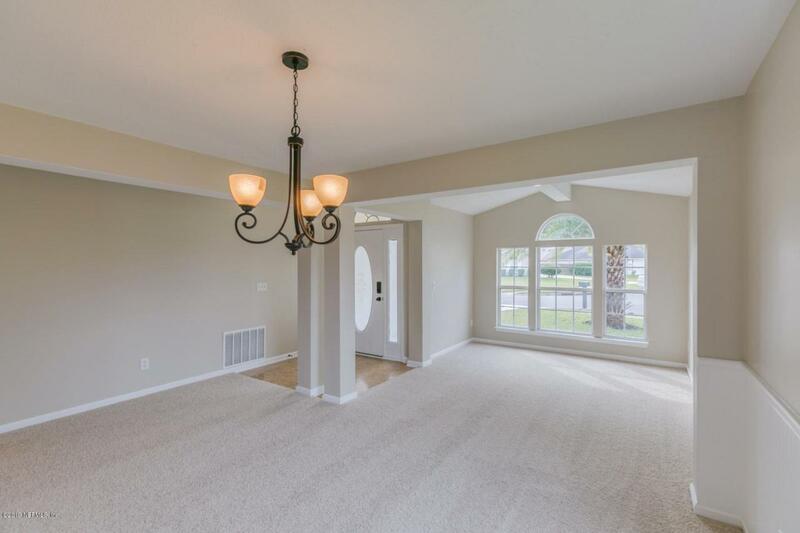 The family room has a stunning fireplace and easy access to the backyard. Rest in the luxurious master, including walk-in closet and en-suite with dual vanities and separate walk-in shower and soaking tub! A fresh coat of interior paint sets all this beauty off! 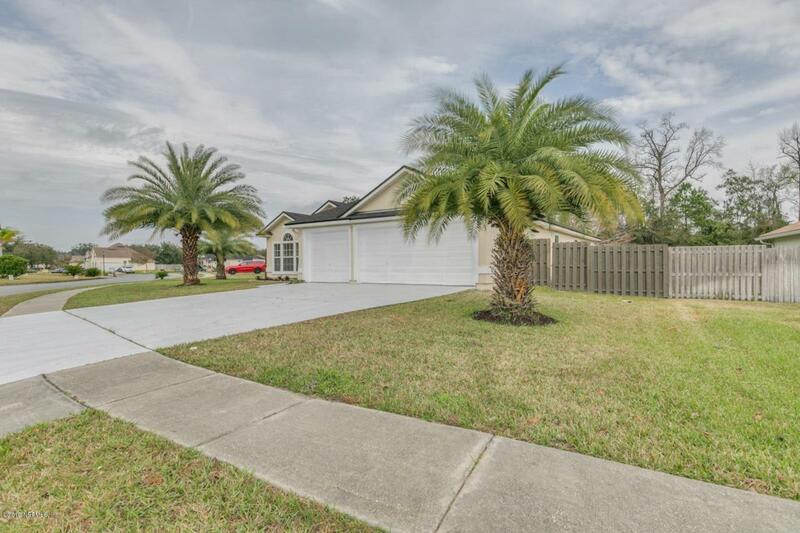 Get some fresh air under the covered back porch, or go out and gaze out at the serene pond from the backyard! Truly a must-see!